Blossom Hill Bluegrass Band plays a mixture of hard driving bluegrass and contemporary music. Led by the energetic showman Gary Payne, you are always in for an entertaining show featuring close harmonies, brisk and soulful melodies. They have not yet recorded a CD but look forward to that challenge. Gary Payne has played in many British bluegrass bands over the years including Grassfire, A Band Like Alice and (the UK) Blackjack. His high tenor voice is widely recognised in England, as well as his excellent rhythm guitar. You will always find him leading a dynamic and accessible session at the BBMA tent during most festivals in the UK. Lennie Harvey is a singer/songwriter, fine guitarist and dobro player who has been playing folk, rock, blues, country in numerous bands for 25 years. He has finally found his true musical home playing Bluegrass with Blossom Hill. 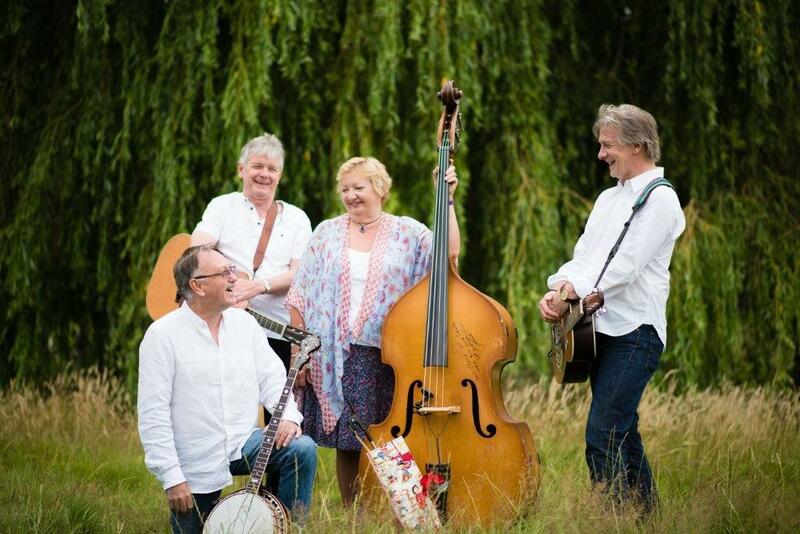 Sherryl Payne also hails from the English folk scene and was recruited into bluegrass by husband Gary around twenty years ago. Sherryl also plays double bass for A Band Like Alice and was previously a member of Blackjack.